Weather services said there was a 0% chance of rain yesterday. Yet rain began at 2 p.m. — right at the start of Slice of Saugatuck. It fell steadily throughout the 7th annual event. The wet weather dampened the crowd (and lowered their number). But everyone who showed up had a great time. 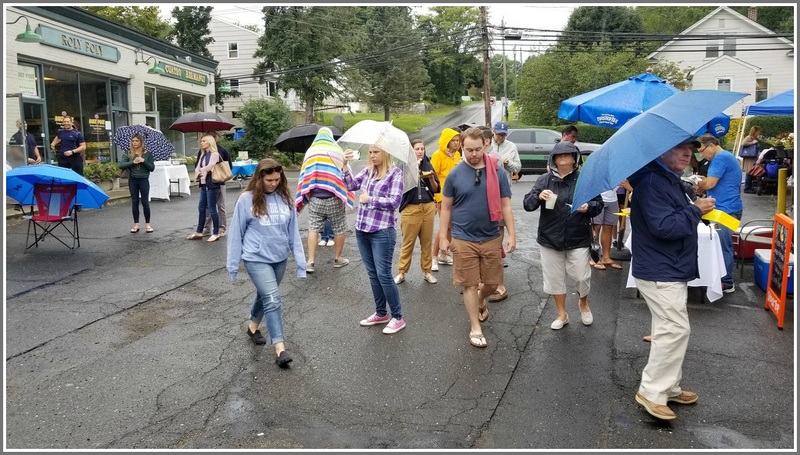 Good food (and plenty of it), excellent entertainment, and bouncy houses can’t stop this Westport Weston Chamber of Commerce show! 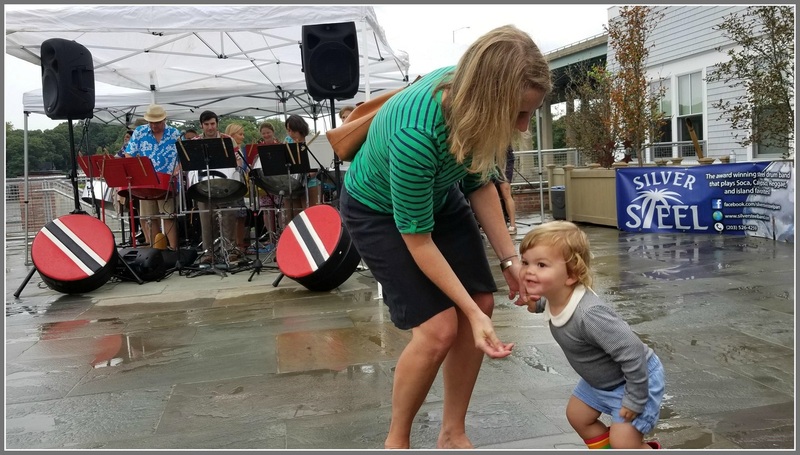 Dancing to a steel band at the Whelk/Saugatuck Sweets plaza. 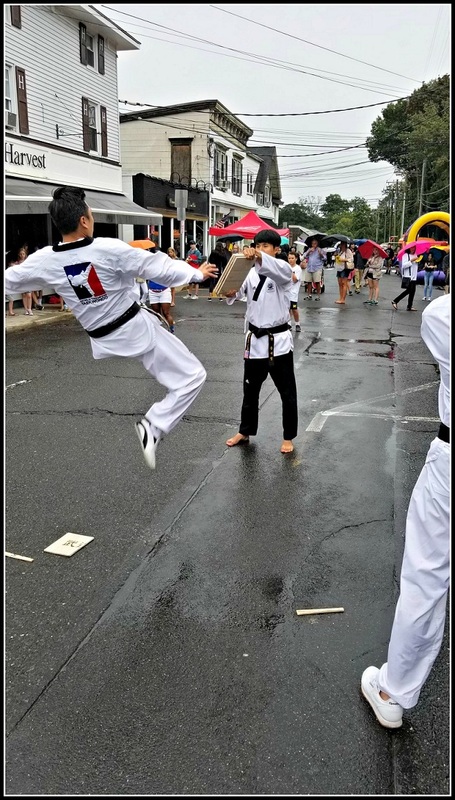 Taekwando demonstration on Railroad Place. A bit wet, but plenty of food from Roly Poly, Cuatro Hermanos, Dunville’s and more. This entry was posted in Local business, Organizations, Restaurants and tagged Slice of Saugatuck, Westport-Weston Chamber of Commerce. Bookmark the permalink. We had a good day at our Westport Historical Society booth. Those who showed up were the hardy, enthusiastic, fun ones. And the truffle fries next door at Match Burger Lobster !! !